What happens when you have a pest infestation, but the pests are legitimately useful? Bees can definitely be problematic, especially the stings they give out if you get too close to the hive. However, one out of every three bites of food that you eat has been pollinated by bees. Along with pollinating crops such as apples, strawberries, and cucumbers, they also pollinate alfalfa that is used to feed cattle. They also make honey — which is delicious, and has antibacterial and medicinal uses. Plus, honey never goes bad! When you think of wasps, you probably think of a painful sting. We get it, but remember that as much of a pain as they are, wasps are excellent predators. They love hunting caterpillars, flies, and beetle larvae, all of which love chowing down on crops. Without wasps, the insect population gets out of control. 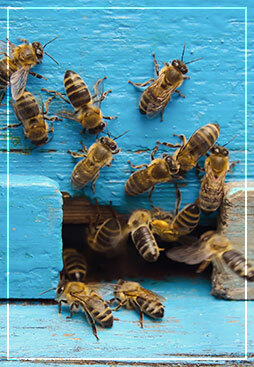 If your home or business has problems with bees or wasps, we can help. Patriot Pest Management has more than 30 years of experience when it comes to pest management. Our family-owned team is located in Taylors, South Carolina, and we provide full pest-control elimination in Taylors, Greenville, Spartanburg, and the surrounding areas. To schedule an appointment, contact us online or by phone today.